Really?! 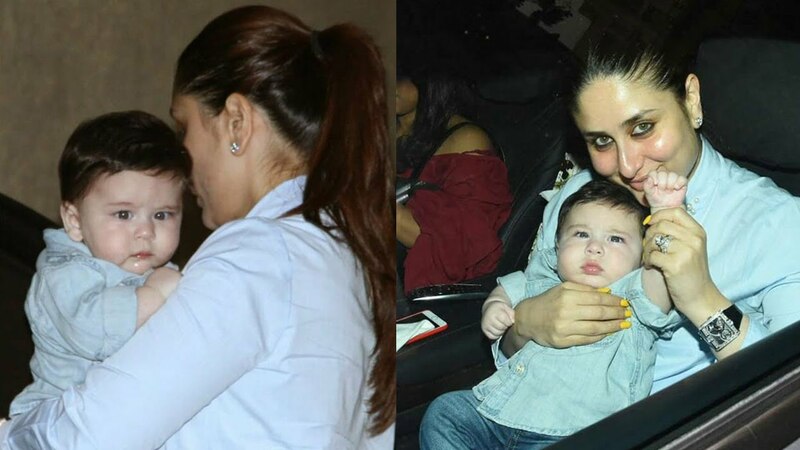 Baby Taimur Ali Khan to Make his Bollywood Debut with his Mommy! Actress Kareena Kapoor (Khan) is busy with Shashanka Ghosh’s next project titled Veere Di wedding, presented by Anil Kapoor Film Company and Balaji Motion Pictures Ltd and recently the actress and her girl gang along with producer Rhea Kapoor were seen together preparing for the project at latter’s office. If rumours to be believed, Kareena and Saif Ali Khan son, Taimur Ali (Khan) will be seen doing a cameo in Veere di wedding with his Yummy mummy. But Kareena’s spokesperson ruled off all these speculations and was seen quoting,”This report is completely untrue. Taimur does not make a guest appearance in Veere Di Wedding and this is purely a figment of someone's imagination." Taimur Ali Khan is one of the cutest celeb kid for sure and will definitely grow up into the most handsome nawab like her father Saif Ali Khan. Meanwhile, fans have to wait for the Bollywood debut of this eight-month toddler. Veere di wedding inspired by Hollywood film is the story of four friends who travel from Delhi to Europe and will cast Sonam Kapoor, Swara Bhaskar and Shikha Talsania in pivotal roles.